What a pretty looking wallpaper. I like the background. of course lacus looks pretty. itz beautiful i love ur picture! Great wall. Nice bg and special effects. It all fits together nicely. 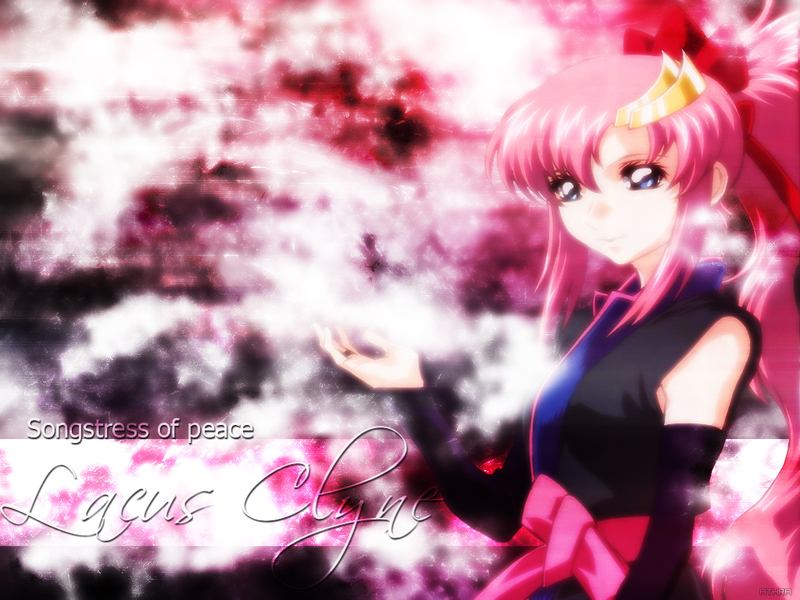 Great Wallpaper of Lacus... Lacus looks beautiful and the background is great!!!! Good Job and Keep up the great work!!!! This image of Lacus is wonderful... the font goes well with the image... it looks beautifully blended good work! !